Trusts, a commonly used estate planning tool, can help avoid a time-consuming legal process after death. In Florida, while you usually are not required to register a trust with the Probate Court, state law requires that notice be provided so that creditors may satisfy any outstanding claims against the estate. In the event that a dispute arises regarding specific terms contained in the trust document, the trust will need to be submitted to the court for the purposes of resolving the discrepancy. A trust is a legal relationship where one person manages funds for the benefit of another. The person who creates the trust is known as the settlor, and the person overseeing the administration of the trust is referred to as the trustee. The people receiving under a trust are known as beneficiaries, and these types of trusts are referred to as beneficiary trusts. In Florida, beneficiary trusts often are created for the purposes of avoiding probate and speeding up the transfer of property after death. Probate is the process by which the property of a deceased person is collected and distributed according to his wishes under a will or according to Florida law if no will is present. This process requires the involvement of the court and, depending on the size of the estate, it can take several months for heirs to receive an inheritance. When the settlor of a beneficiary trust dies, Florida law requires that the trustee file a Notice of Trust with the Probate Court in the county where the settlor lived. The notice must contain the name of the settlor, the settlor's date of death, the title of the trust, the date of the trust, and the name and address of the trustee. The actual trust instrument is not filed with the court, and the notice serves to alert existing creditors possessing outstanding claims against the estate. Under Florida law, in the event that administration expenses and debts are not covered by the estate, assets in a beneficiary trust may be used to satisfy these claims. Under Florida law, if no probate action has been opened, creditors of the deceased person have two years from the date of death to file their claim. However, if probate has been opened, creditors usually have three months from the date a notice of probate is issued. For this reason, even if all of the deceased person's assets can be administered through the trust and without probate, some people elect to submit a trust to probate to take advantage of the more limited time frame for claims against the estate. 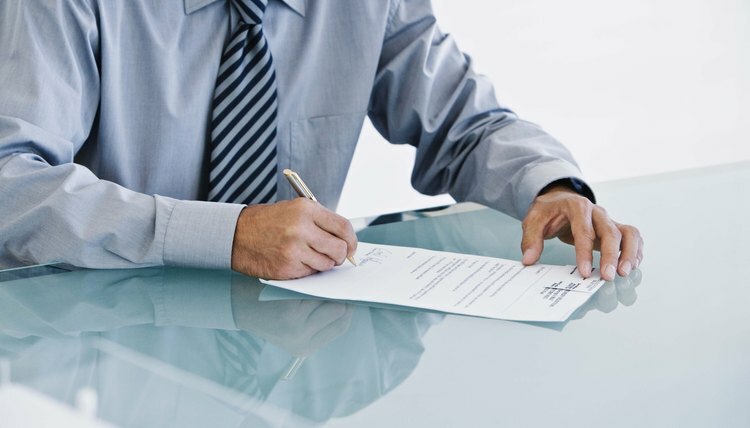 Although the trust document need not be filed with the Probate Court for the purposes of trust administration, its contents may become the source of a separate legal action. An example would be a dispute over the individual appointed to serve as trustee after the settlor's death. Oftentimes, the settlor of a beneficiary trust also serves as the trustee, and upon his death, another person is appointed to take over this duty. This is known as the successor trustee, which can be a source of contention among family members. This is particularly true if the trust document is unclear regarding the appointment, or if the person named is not competent to handle the job. In these situations, the trust would be admitted to the Probate Court for a judge to resolve the matter.